One of the countless concerns with growing government control over the health sector is additional bureaucratic delay in getting new treatments to patients. We’re seeing more and more evidence of these hurdles. And we have another example involving a new life-saving vaccine: The Food and Drug Administration expedited approval of Prevnar 13, which prevents pneumonia and related diseases in people over age 50 by targeting the most common pneumonia bacterium (Streptococcus pneumoniae). The FDA approved the use of Prevnar 13 in December under its “accelerated approval pathway,” which allows for faster consideration of treatments for serious and life-threatening illnesses. At least 300,000 adults are hospitalized each year because they contract this form of pneumonia and at least 5,000 of them die. “Pneumococcal disease is a substantial cause of illness and death,” the FDA wrote in its release. “Today’s approval provides an additional vaccine” for this disease. So you should be able to get it right away, right? Wrong. 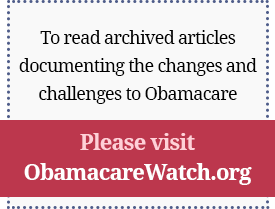 There is yet another hurdle — the Centers for Disease Control and Prevention. The CDC’s Advisory Committee on Immunization Practices (ACIP) apparently does not share the FDA’s sense of urgency in getting this life-saving medicine to patients. In its meeting later this month, Prevnar 13 is slated only for “Information and Discussion” but not a vote. That’s important because ACIP votes to decide what vaccines to recommend for the adult-immunization schedule. Public programs like Medicare and private insurers rely on ACIP for guidance on what vaccines they will pay for. ACIP only meets three times a year. If it doesn’t vote on the vaccine during its February meeting, then it will have to wait until June to hold a vote. That means at least 100,000 adults could be hospitalized unnecessarily and more than 1,500 could die waiting for the government agency to act. The vaccine has been approved by the FDA as safe, and the FDA put it on its “accelerated approval pathway” to get it to patients faster. Prevnar 13 already has been approved for use in children age 6 weeks to 5 years old, and administration of the vaccine supports the government’s Healthy People 2020 objectives. A delay is not just another bureaucratic hurdle. It can cost lives. Posted on National Review Online: Critical Condition, February 3, 2012.